"Want In-Store Pickup for Your Online Store?" 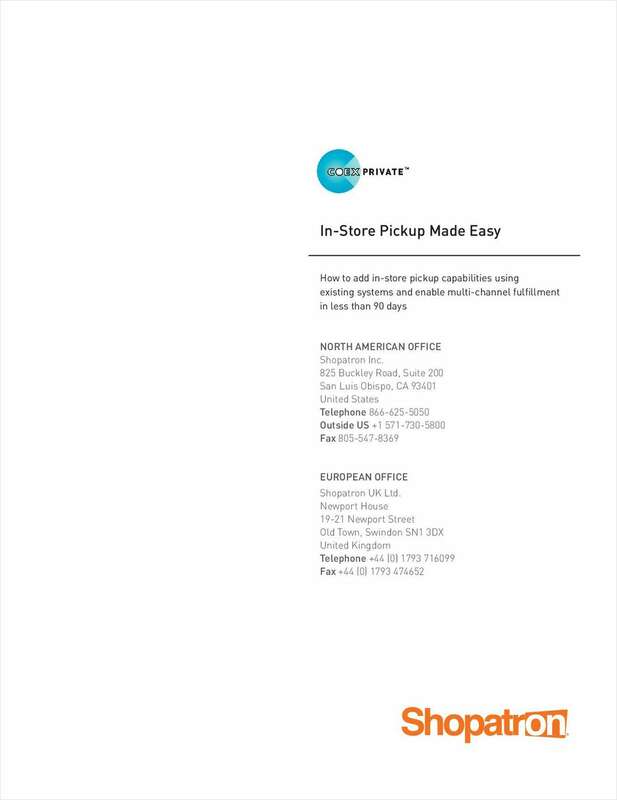 Free White Paper: "Want In-Store Pickup for Your Online Store?" Shopatron is the leader in retail-integrated eCommerce, order management and in-store pickup solutions. By submitting this content request, I have legitimate interest in the content and agree that Shopatron, Inc, their partners, and the creators of any other content I have selected may contact me regarding news, products, and services that may be of interest to me.